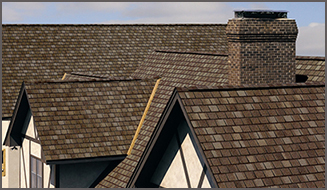 At the first sign of trouble it is best to contact a roofing professional like Straight Line Roofing & Siding. Whether you notice water spots on the interior of your home, an area with missing shingles, or see flashing failure, we can help. The sooner the problem is diagnosed, the easier it is to fix and the less painful it is to your budget. The best offense is a good defense, especially when it comes to protecting your home and family. Extreme weather can take its toll on your roofing system. Our team of professionals will inspect your roof and give you a free estimate on their recommended remedy - whether it be roof repair or replacement. Once water penetrates the roof decking, soffits & eaves and flashing, there is really no other alternative but to remove the old, inspect the amount of damage, and replace with new. Look for typical signs of roof damage like blistering, brittleness, breaking, cracking, curling of shingles and tell-tale leaks. Fill out our online form for a free roof inspection or call us at 207-786-4414. We're happy to help diagnose problems and offer our professional suggestions to solve them.